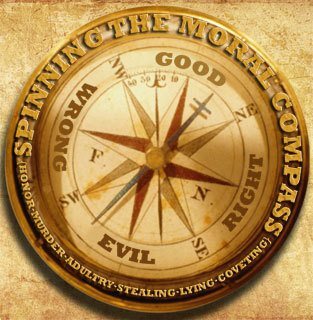 For starters, we can’t really talk about one’s moral compass without the discussion of business ethics. At its most basic definition, business ethics revolves around relationships. Whether you have an online business or a traditional brick and mortar business, the relationships you’ll have with your customers will be what matters most. These relationships exist between businesses and consumers on multiple social and economic levels. Business ethics, therefore define the relationship between an individual and a business. It’s usually one’s moral compass that’ll drive those relationships. You know the conversation you have in your head between how lucrative something can be and what you would actually need to do to make it happen? You can spend hours, days. and even years agonizing over it. It seems so easy for some marketers, but sadly not so easy for you. There seems to be a big misconception in the marketing game, that in order to make a lot of sales you need to adapt to “the hard sell”. You know what am talking about right? The hype, the pressure and all the sleazy cheesiness which you usually see in the marketing world. So why do so many marketers and affiliates resort to these kinds of tactics? Simple, it’s what we’ve been taught by all the gurus and big shot marketers who don’t seem to have a conscience. I’m here to tell you there is a better way. You can capture the attention of your customers and their wallets without having to sell your soul! The best part is, it’s free and it won’t take you years to master either. Consider “Doing Business God’s Way“. You can grab the free video series below and start being more congruent with your moral compass and marketing message. Click Here to start your free video course.